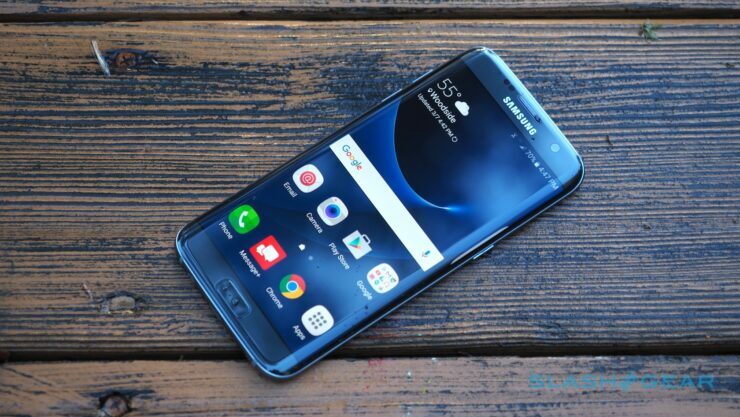 Yesterday, we speculated that the Samsung Galaxy S7 and S7 Edge would receive their Oreo update mid-May. However, it looks like some users in the UK began receiving the update on their device today, as spotted by sammobile. And no, the update isn’t a faux Oreo update like the one Verizon rolled out not too long ago, this is the real deal. Not too long ago, Samsung had accidentally rolled out an Oreo developer build to one device in Vietnam, and that was the first time we got to see Oreo on the Galaxy S7. Samsung is now rolling out firmware version G930FXXU2ERD5 and G935FXXU2ERD5 for the Galaxy S7 and Galaxy S7 Edge respectively in the United Kingdom and weighs in at around 1.2GB. For now, only carrier-locked variants have received the update, and it’ll be a while before their carrier-locked counterparts receive it. The official factory image isn’t up on Samsung’s site yet but should be up soon, opening up the possibility of sideloading it. The firmware is only available over-the-air right now and can’t be downloaded through Samsung SmartSwitch. 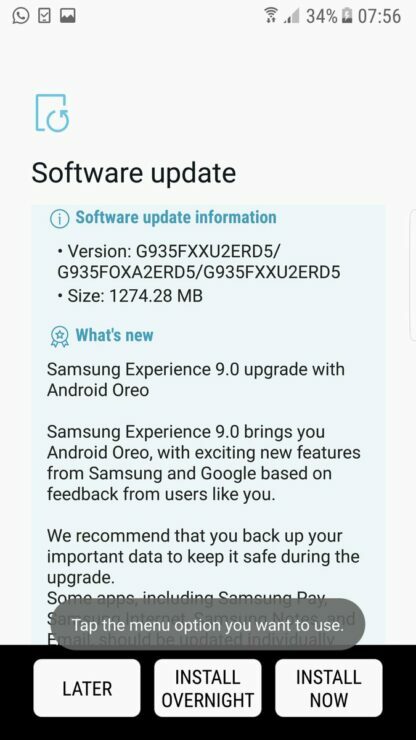 The devices will receive all of the new features that come with Android 8.0 Oreo such as PiP, autofill, and notification channels, the new firmware includes Samsung Experience 9.0 which brings new edge lighting modes and further customization options, along with a host of other smaller changes. The global rollout of the update is imminent, but you might have to wait a bit for it. Keep an eye out for an OTA update or you can also try manually pulling the update by going to the Software update menu in the Settings app. You’ve got to cherish this update for as long as you can, as it may be the last major software update that the flagship will receive.